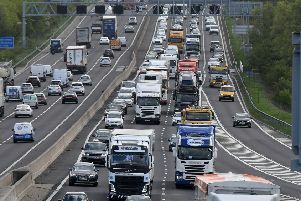 Journey time delays, road safety and the condition of our roads are the main transport and highways issues which local communities often tell us about. This is why we have plans to invest more than £25m in the county’s transport infrastructure in 2018/19. In fact, close to £20 million is due to be spent on highways maintenance – an increase of £1m on this year’s budget - with £6m of this money earmarked for road repairs, as we know that having a good quality road network is important to local people. We are following up on our promise to have continued, extra investment in pothole repairs, with an additional £2.2m allocated. An extra £3.25m is currently being spent this year to repair potholes on many of our rural and unclassified roads. Also, £3.1m will be spent on improving the road surface at more than 170 locations across the county – more than half of these will be in the north of the county across Mansfield, Ashfield and Bassetlaw areas. Road safety schemes are of course a priority. Among the 55 road safety schemes planned for 2018/9 are new speed cameras on Peafield Lane in Mansfield Woodhouse. We listened to local concerns about safety following a number of collisions at this location and after a thorough investigation, speed cameras were identified as the best solution. We have a number of schemes planned to reduce journey times including improvements to traffic signals on the busy A60 Nottingham Road in Ravenshead. Our cycling networks are also vital. We want to encourage people to cycle to help improve health, reduce congestion and improve local air quality. We are already creating new networks in Mansfield and Newark which are due to be completed by next March. We are certainly committed to investing and improving our 2,600 miles of highways and transport infrastructure.